Coming together as a group of innovators, addicted to all kinds of new technology, we formed a team united in the spirit to change the world. Our mission is to redefine our daily use of media and shift it to a whole new experience level. We utilize latest computer vision technologies to make the magic happen. Therefore, we listen carefully to the heartbeat of media. And transform ideas to cutting edge augmented reality solutions. 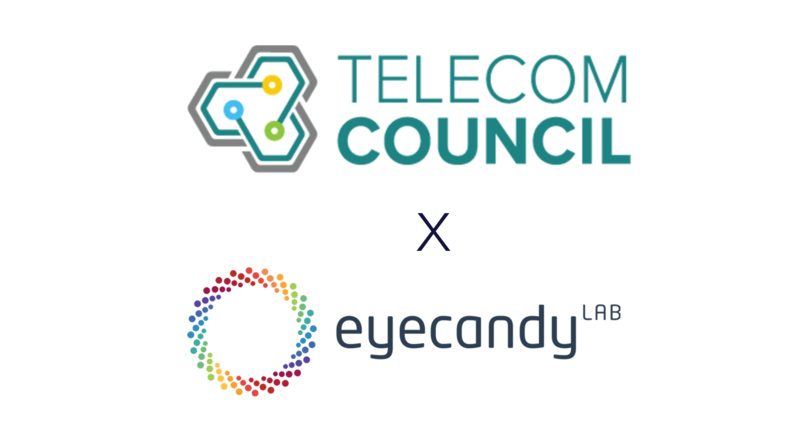 Sunnyvale, CA, Apr 4th, 2019 – Telecom Council, the renown forum of global telecom operators, announced eyecandylab as part of the Innovation Showcase Class 2019 to demonstrate its innovative technology to the exclusive member circle. Telecom Council’s Innovation Showcase matches high-potential communications start-ups with strategic-fitting telcos, vendors, investors, and potential partners such as BT, HUAWEI, ERICSSON, swisscom or Deutsche Telekom. The presentation takes place at the Telecom Council Carrier Connections (TC3) annual meeting in September, where tech scouts from across the communications landscape converge to further the industry through sharing success stories, innovation roadmaps, and best practices, and meeting young innovative companies in pre-arranged, one-on-one meetings. Read more at the Telecom Council Press Release and the Innovation Showcase Class 2019.
eyecandylab introduces their augmen.tv technology to the Japanese market at the “5th Advanced Digital Technology Expo” held in CONTENT TOKYO 2019 in collaboration with SoftBank Corp. (“SoftBank”). 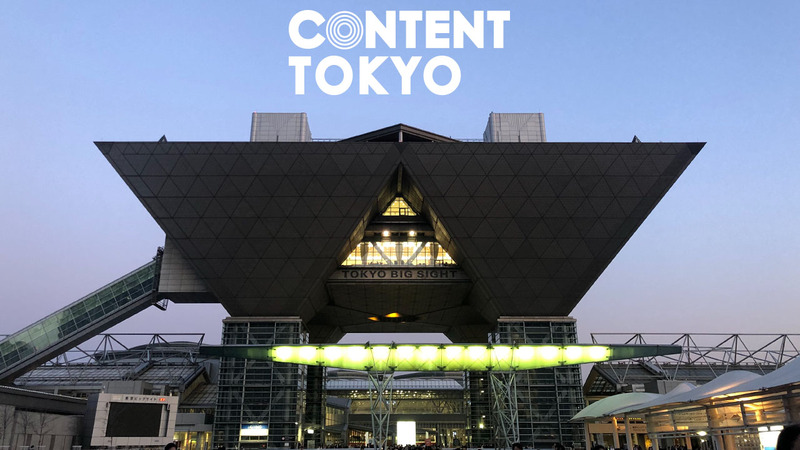 At Japan’s largest virtual, augmented and mixed reality event, the CONTENT TOKYO, eyecandylab showcases a demo tailored to the Japanese market, being a core attraction of the SoftBank booth. eyecandylab’s technology enables an AR-layer on video to create a new level of entertainment experience and to drive viewer engagement. The demo will be showed at booth no. 3-16 in the special exhibit zone VR/AR/MR World. eyecandylab tied a strategic partnership with SoftBank after having been selected for the 3rd SoftBank Innovation Program, in which SoftBank introduces the most promising global startups to their Japanese corporate customers and consumers to create new technology applications. The goal of SoftBank and eyecandylab’s partnership is to bring additional value by teaming up, conduct test marketing and create future commercialization of eyecandylab’s AR on Video technology, augmen.tv, for Japan, the home market of SoftBank. 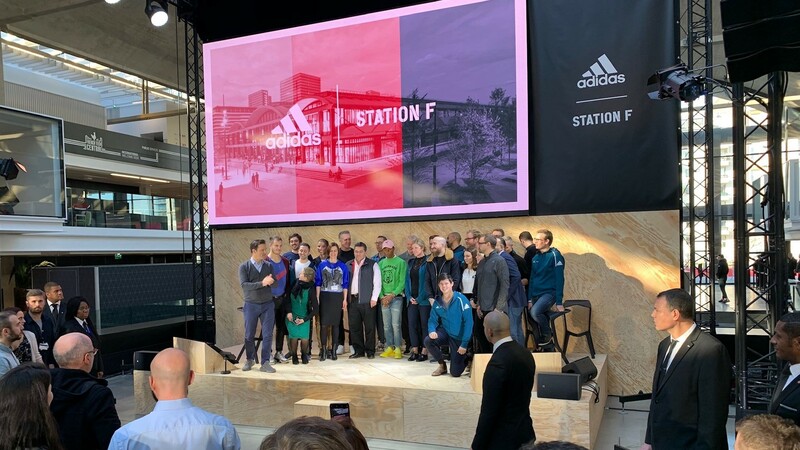 Paris - adidas announced the launch of its new sports accelerator program "Platform A" with eyecandylab amongst the 13 selected startups, having being selected to work with adidas on new business initiatives for the sports industry. The accelerator aims to use the innovative power of the global start-up scene to jointly identify the potential for new strategically important projects. eyecandylab develops a pilot, bringing Augmented Reality around video into the ecosystem of adidas, looking deeper into opportunities for Branding and Retail for one of the biggest sports brands in the world. The program, which is also operated by Plug and Play Innovation Platform, takes places at Station F, the world’s largest start-up campus located in the heart of Paris. 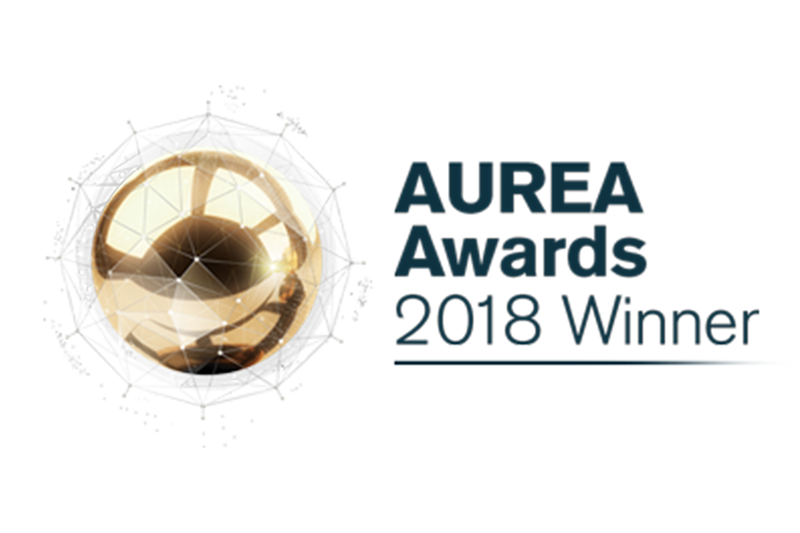 eyecandylab wins 2018 Aurea Award in category "Impact"
eyecandylab has been named a 2018 Aurea Awards winner in the category "Impact on future in technology" for the platform augmen.tv . augmen.tv is the AR lens on every video. It revolutionizes video content by combining first and second screen into one seamless, interactive and highly entertaining experience. “eyecandylab created a product that unquestionably creates magic by inviting the user into another world, they have enhanced a global experience and added to it with their own original content and vision, and they have paved the way for others to build on their creativity and innovation” said Emily Olman, Jury Member, in her eulogy. Announcing major elements of their platform augmen.tv, eyecandylab will take part at the AWE Europe, part of the largest AR+VR event series in the world hosted at the MOC Exhibition Center in Munich, 18-19 October 2018.
eyecandylab redefines the way of interaction with video content by bringing augmented reality to any moving image. Their platform augmen.tv provides the tools for combining first and second screen into one seamless, interactive and highly entertaining experience. It enables content creators to add additional information and interactive features to the video content. This drives user engagement, resulting in new monetization opportunities and revenue streams. To enable content creators to utilize the AR technology, the startup announces the release of the augmen.tv SDK package. It allows their customers to incorporate the software-based solution seamlessly into their apps to leverage their existing install-base while bringing it to the biggest possible audience. The roll-out starts with the Unity SDK Plugin beginning in 2019, followed by iOS and Android native SDKs later this year. First customers like VIACOM are using the SDK in the Nickelodeon Screens Up! app, continuously developing AR content around shows like Kids Choice Sports Awards or Henry Danger. eyecandylab also announces their new key module of the augmen.tv platform: in the future, the patent pending TELEMARK technology can identify live TV broadcast streams, ensuring the content identification not only for pre-recorded, but also real-time content. The technology will be available from Q2 2019. At the AWE Europe 2018, eyecandylab will be one of the 80 exhibitors showcasing augmen.tv on its own exhibition stand with highly immersive demos in home ambience, providing the augmen.tv experience to 1,500 attendees incl. developers, creators, C-level executives, entrepreneurs, press & investors. eyecandylab was founded in 2017 in Munich and incorporated in 2018 in the US. The startup has significant traction and is currently working with TV stations worldwide with its leadership in AR on video thanks to its outstanding technology. eyecandylab already scored big customer success with its US debut at Viacoms Nickelodeon during ‘Kids Choice Sports Awards’ as well as other clients like NBCUniversal, Cartoon Network and SoftBank. The US incorporation recently graduated from the Comcast NBCUniversal Lift Labs Accelerator powered by Techstars, and won the Softbank Innovation Program as one of the most promising start-ups. The success story of eyecandylab started with the world premiere of combining first and second screen at the German TV show Galileo broadcasted at ProSieben, which has been a major success. Magic portals and floating donuts are just a few of the offerings in the extended screen experience into Nickelodeons live-action original series, Henry Danger. Titled “Danger Things,” the special episode aired on Saturday, Oct 13th 2018 and included everything from swirling whirling portals, to a creepy creature from another dimension as Kid Danger and Captain Man embarked on a daring rescue mission to save the day. The Screens Up! app is a unique mix of eye-popping Augmented Reality content synced with TV moments and fun features including mini-games and AR stickers and had its debut during Kids Choice Sports Awards 2018. The free companion app immerses Nickelodeon fans in its IP through AR delivered to mobile devices, using the unique augmen.tv technology by eyecandylab. CEO Robin Sho Moser took the center stage at The Franklin Institute and pitched to hundreds of investors, mentors, Comcast NBCUniversal team members, and Philadelphia’s tech and startup community, while a global audience watched online via livestream. The Demo Day marks the ending of the Comcast NBCUniversal LiftLabs accelerator powered by TechStars program, which took part in the past 13 weeks in the heart of Philadelphia. During the intense program, eyecandylab received mentoring from executives from the Comcast group, NBC, Universal, DreamWorks, as well as the esteemed Techstars community that includes over 75 mentors who have deep industry, investment, and entrepreneurship experience. 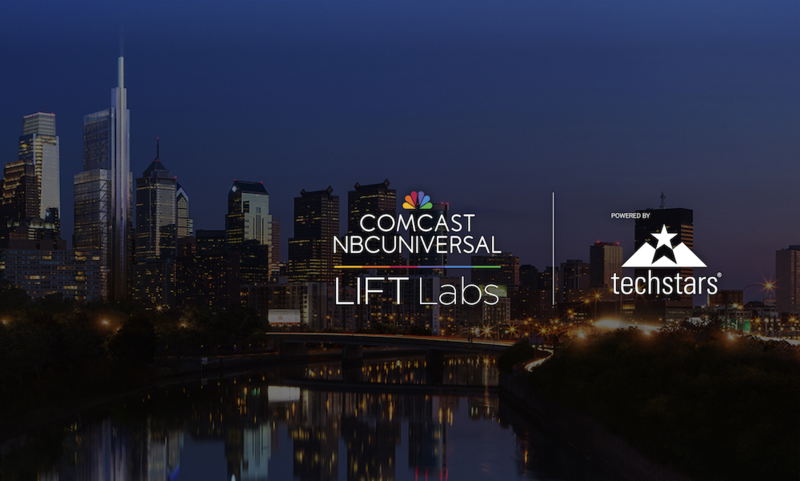 Click to see the official press release of Comcast NBCU LIFT Labs and the TechStars release. For more information about the program, visit Comcast LIFT Labs https://lift.comcast.com/ and TechStars https://techstars.com/comcast. Munich, July 26th, 2018 – eyecandylab will join the German Accelerator Tech program starting in October 2018 supporting high-potential German technology startups to enter the U.S. market and develop into global market leaders. As one of 14 outstanding German startups, eyecandylab will be part of the German Accelerator Tech, a growth acceleration program supporting German startups from tech related sectors to enter the U.S. market. It provides startups with hands-on monitoring and office space in the Silicon Valley and New York. 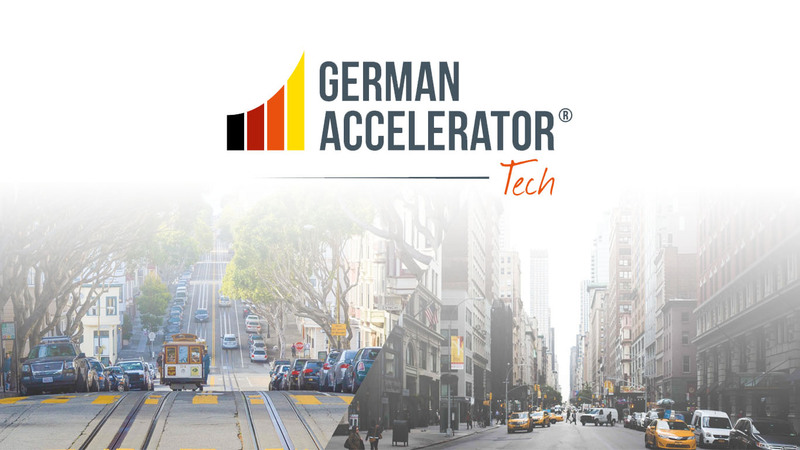 German Accelerator Tech identifies and selects the most promising German startups and assists them in their pursuit of becoming category leaders with lasting competitiveness and success in the global marketplace. The program takes 3 months and provides acces to the world's leading startup ecosystems as well as mentoring and guidance from industry experts and accomplished entrepreneurs. Within specialized workshops a U.S. Go-to-Market strategy and financial strategy will be defined, the marketing and communication approach will be optimized, and support for business execution and legal structures in the U.S. will be provided. The successful graduates of this program are well known in the industry such as LOVOO or N26. Click to see the official press release of German Accelerator Tech (German). For more information about the program, visit German Accelerator Tech website https://germanaccelerator.tech. eyecandylab celebrates the debut of the augmen.tv technology in the U.S. with Nickelodeon, providing the technology for video-based augmented reality moments in Nickelodeon’s brand-new AR app Screens Up, which will make its debut at the 2018 Kids’ Choice Sports Awards. As part of a cross-continent collaboration between Nickelodeon and three tech partners, eyecandylab has developed the technology for the new Augmented Reality app Screens Up by Nickelodeon. 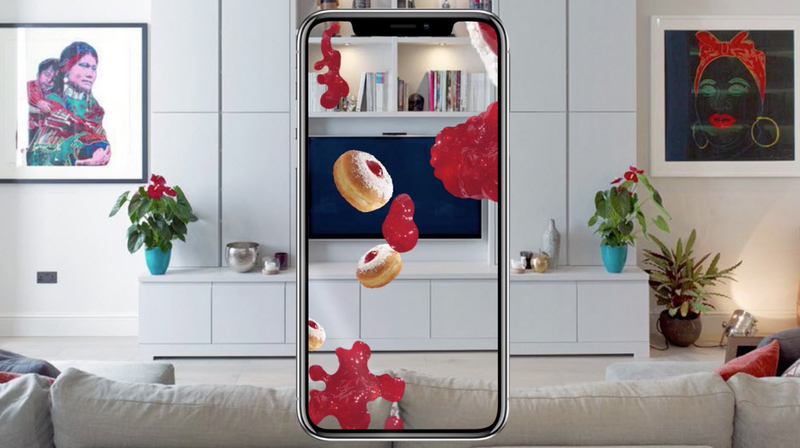 The app is a unique mix of eye-popping Augmented Reality content synced with TV moments and fun features including mini-games and AR stickers. The free companion app immerses Nickelodeon fans in its IP through AR delivered to mobile devices, using the unique augmen.tv technology by eyecandylab. See the official press release of Nickelodeon. 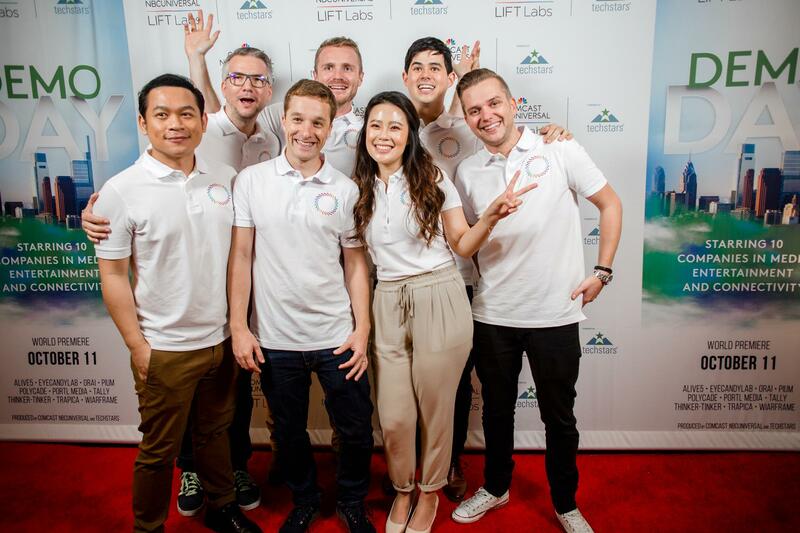 Munich, July 16th, 2018 – eyecandylab takes part in the new Comcast NBCUniversal LIFT Labs for Entrepreneurs, a multi-city program powered by Techstars launching in Philadelphia to assist startups with new innovations in media, entertainment and connectivity. eyecandylab will be part of the first cohort joining the Comcast NBCUniversal LIFT Labs Accelerator, a 13-week program powered by the top accelerator program “Techstars”. In this program, eyecandylab will receive one-on-one mentoring from Techstars’ worldwide network that supports entrepreneurs through access to mentorship and capital, and will work directly with mentors and product experts from across Comcast NBCUniversal’s businesses in Philadelphia on its innovative technology augmen.tv. Click to see the official press release of Comcast NBCU LIFT Labs and TechStars. 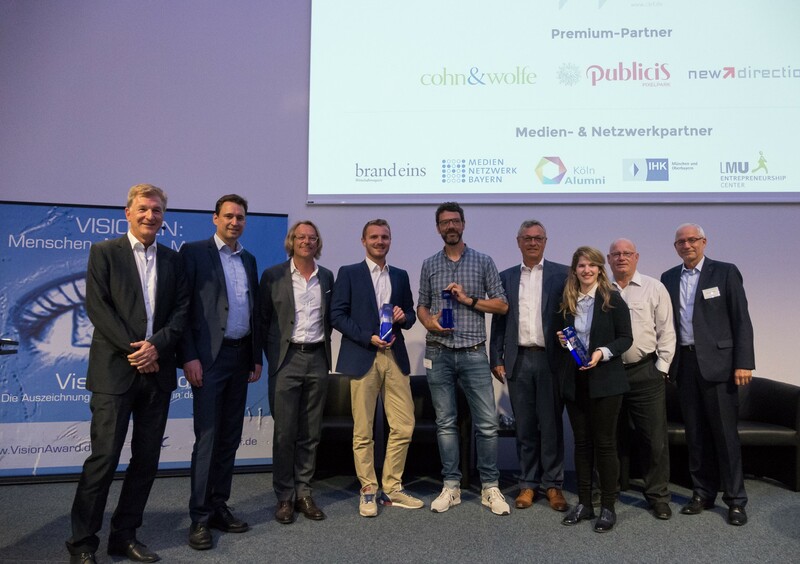 eyecandylab receives the VisionAward_18, a start up prize for young and established companies and entrepreneurs who set new trends with a new business idea. The award is given away to three awardees each year since 2006, tracking innovative products, exciting ideas and future-oriented business models. The VisionAward winners of the last few years include well-known companies such as Brands for Friends, Last. fm, and myTaxi. This year’s topic is entitled "Change the Game!" and the award master c/c/c will honour eyecandylab for its augmented reality solution augmen.tv. augmen.tv is the AR lens on every video. It revolutionizes video content by combining first and second screen into one seamless, interactive and highly entertaining experience. augmen.tv is renewing the way of watching videos by bridging the world of linear content with Augmented Reality (AR) to provide additional information and interaction features for direct response to advertisement and broadcasting content. The technology brings together linear videos and the second screen on smart devices, simply by holding the smartphone or tablet in front of the screen – for a whole new world with AR content. augment.tv enables storytelling and advertising on a new level, and – on top of it – every AR element can be made interactive to increase the viewers‘ engagement. The augmen.tv platform provides AR solutions, using moving images for marker purposes with its unique, patent pending TELEMARK technology. The app detects the screen as well as the viewing angle and identifies video content being watched while performing an exact time synchronization. Based upon these information, 2D and 3D contents are augmented around the screen in real time and users can interact with various AR effects. Los Angeles, CA, May 31th, 2018 – SoftBank will partner with eyecandylab to develop an Augmented Reality (AR) and TV Media application for the Japanese market. eyecandylab successfully joined the SoftBank Innovation Program, in which SoftBank introduces the most promising global startups to their Japanese corporate customers and consumers to create new technology applications. 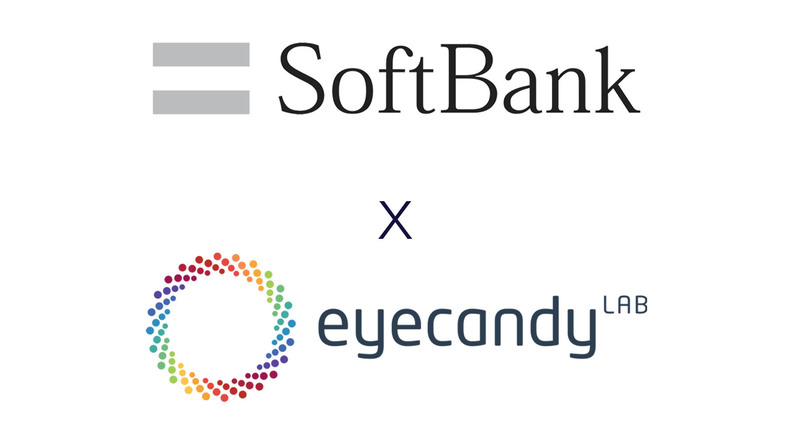 The goal of SoftBank and eyecandylab’s partnership is to bring additional value by teaming up, conduct test marketing and create future commercialization of eyecandylab’s AR on Video technology, augment.tv, for Japan, the home market of SoftBank. SoftBank is the parent company of the nearly $100 billion-dollar Vision Fund and provides mobile communication, fixed-line communication and Internet connection services to corporate customers and consumers in Japan. Leveraging the innovative technologies of other SoftBank Group companies, SoftBank Corp. is also expanding into AI, IoT, smart robotics, FinTech, cloud security and other sectors, as part of the SoftBank Innovation Program. We are proud to announce our new collaboration with Sportradar in their accelerator program called "Acceleradar". The immense data pool is now ready to be delivered to the client using the augmen.tv technology and deploy it as the coolest AR feature out there. We're excited to show some first results soon! Munich, December 20th, 2017 – Presenting its revolutionary technology for television called augmen.tv, eyecandylab will take part at the CES 2018, the world's gathering place for innovators and breakthrough technologies in consumer electronics hosted in Las Vegas, Nevada, 9-12 January 2018. At the CES 2018, eyecandylab will be showcasing augmen.tv on its own exhibition stand 52866 in the All Categories section within Eureka Park. eyecandylab will provide the augmen.tv experience to the more than 1,170K attendees constituting the world’s business leaders and pioneering thinkers to a forum where the industry’s most relevant issues are addressed. augmen.tv revolutionizes television by combining first and second screen into one seamless, interactive and highly entertaining experience. augmen.tv is renewing the way of watching TV by bridging the world of TV with Augmented Reality (AR) to provide additional information and interaction features for direct response to advertisement and broadcasting content. The technology brings together linear TV programs and the second screen on smart devices, simply by holding the smartphone or tablet in front of the screen – for a whole new world with AR content. augment.tv enables storytelling and advertising on a new level, and – on top of it – every AR element can be made interactive to increase the viewers‘ engagement. augmen.tv is the world’s first AR solution, using moving images for marker purposes with its unique, patent pending TELEMARK technology. The app detects the TV as well as the viewing angle and identifies TV content being watched while performing an exact time synchronization. Based upon these information, 2D and 3D contents are augmented around the TV in real time and users can interact with various AR effects.